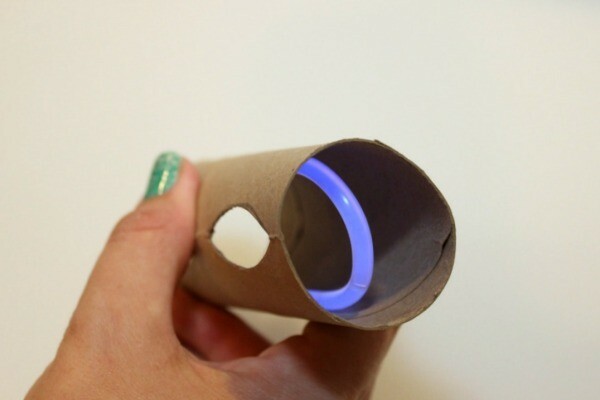 Toilet paper tubes are great for making easy craft projects, including Halloween decorations. 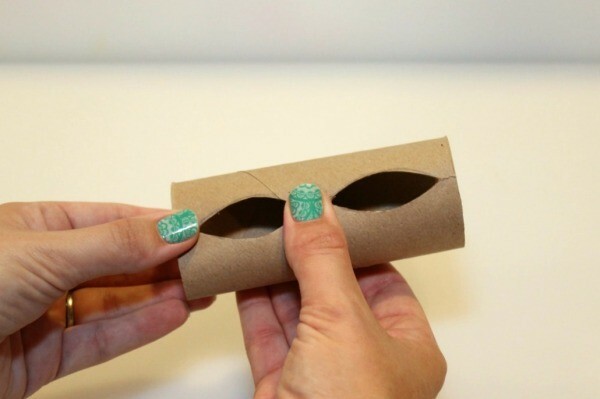 This is a guide about spooky toilet paper tube eyes. 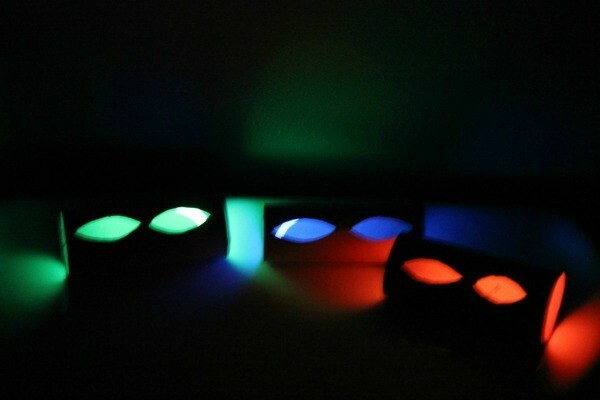 These spooky glowing eyes are a super easy decoration that you can use in your yard or in your house for Halloween. 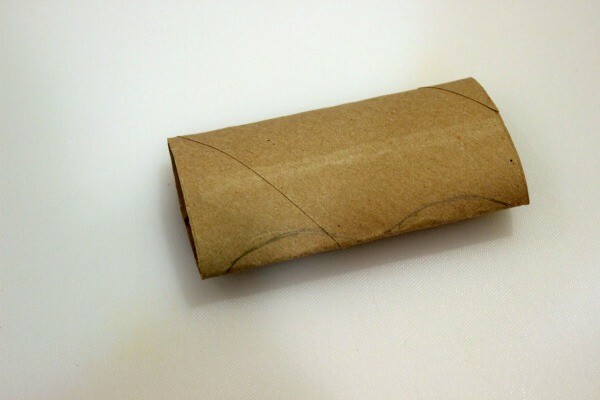 Flatten out the tube and draw two cutting lines for the eyes along the crease with a pencil. 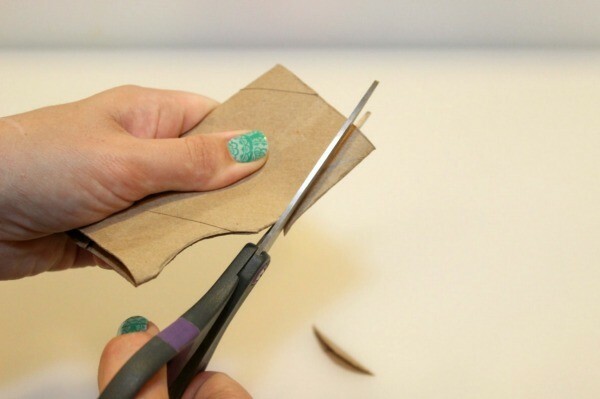 Using scissors, carefully cut out the eyes. 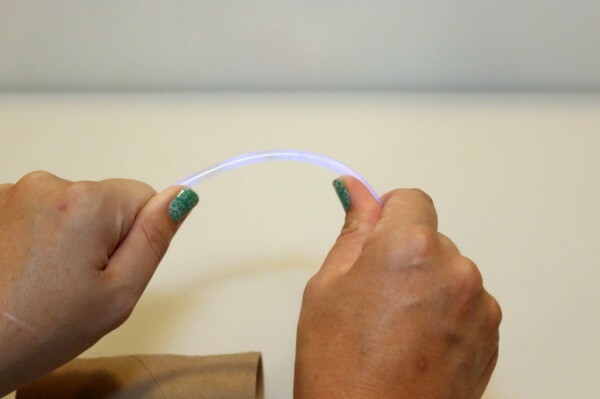 Snap the glow stick to activate it. 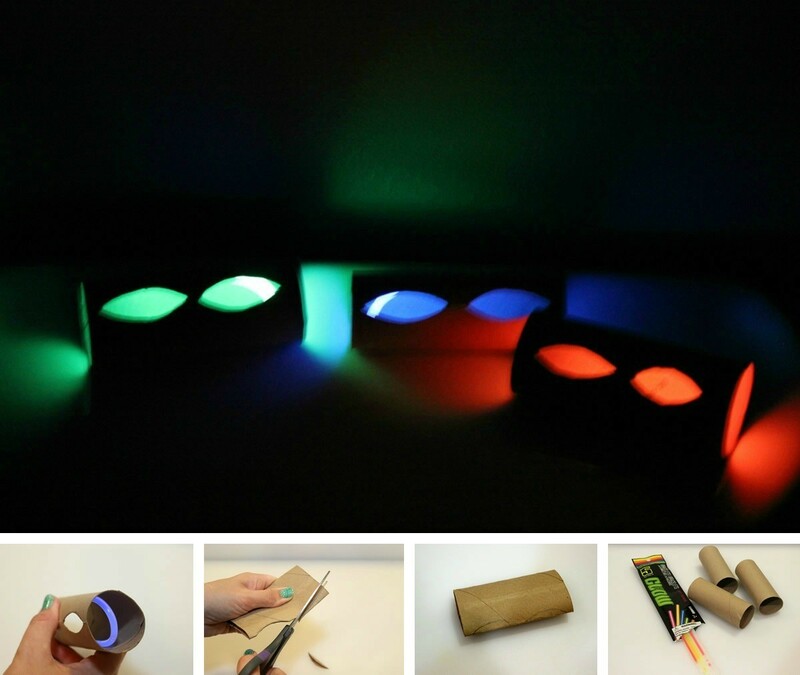 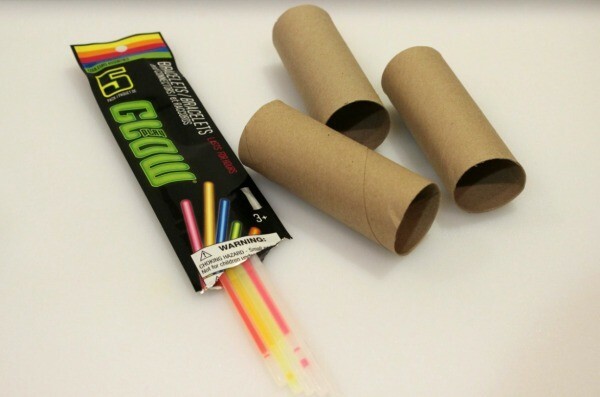 If using glow bracelets, gently fold them in half and insert them into the tube.